Designed by Becky Cloonan. Sculpted by Irene Matar. 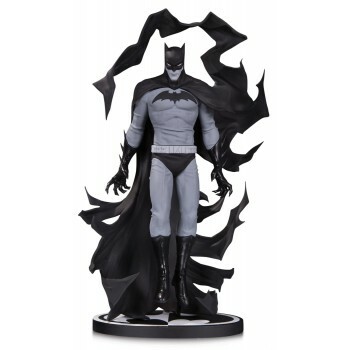 World-renowned and Eisner-nominated comic book artist, writer and creator Becky Cloonan brings her one-of-a-kind artistry to the Batman Black & White statue line. Limited Edition of 5,000. Measures Approximately 9.38 inch Tall.